Your message is an authentic, written expression of your business that give your prospects an instant impression of whether or not you can help them. It is important for you to have a clear, consistent message across all marketing platforms. When your message is a personal expression of an ideal or statement, it has a lasting impact on your tribe. Your message is memorable. Note: The most effective marketing copy is written to the English level of an 11-year old child, so it’s not about using fancy words to impress. It’s simply about being yourself in writing, and making sure you communicate in a direct way that is eye-catching AND has an impact on the reader. In other words, as a result of reading your copy, they are inspired to take some form of action. The deva or soul of your business holds the creative pattern for the growth of your business. When you begin to co-create your business with your deva, you perform your business functions with more peace and clarity. The soul of your business has a plan beyond what you can conceive, so now is the time to start listening to what it wants to create through you. Listen to the Week 2 Audio [15:45] + Download the Power Pyramid. 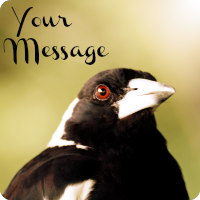 The key themes for this week are Power, Message, Deva and Desire. 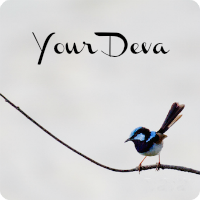 Complete the Deva Meditation [12:04] and write down your findings in your journal.